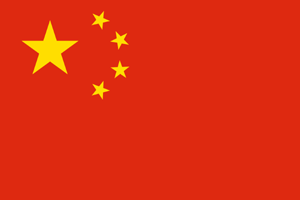 ISLAMABAD, Aug 4 (APP): A young Chinese diplomat Lai Haiyang has taken over as new media officer of Chinese Embassy here on Thursday, replacing Liu Yangjun who served in this position for about four and half years. Earlier, Lai has been working in the Embassy’s political section. He assured his Pakistani media’s colleagues that he will keep up the Embassy-media interaction and cooperation to project the two countries’ relationship in a positive and constructive manner. Speaking at reception held a local hotel he said, Pakistani media has great contribution in pushing forward the Sino-Pak relations to a new height. The outgoing media officer Liu Yangjun thanked the Pakistani media for the cooperation they extended to him and the embassy for projecting Sino-Pak cooperative partnership through proper media’s coverage. He said he found the Pakistani media highly positive and friendly towards China. The media’s representatives at the reception eulogized Liu Yangjun’s role and contribution in strengthening relationship between the Embassy and the media. They termed Mr. Liu’s four and half years’ stay in Pakistan as highly productive and result-oriented in the field of media. His love and affection towards Pakistani people particularly the media would be long remembered, they added.